10% Off LaborEnjoy up to $30 off the labor of your next service (or up to $50 if you show us your AAA membership)! 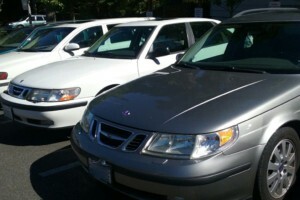 Your local Saab maintenance and repair specialists – An independent, locally owned Saab service shop in West Seattle. Saab brake maintenance and repair. Ask about our ceramic, dust free pads! 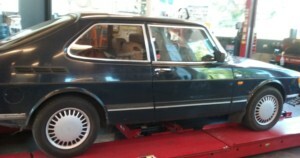 If your Saab failed emissions, we are a State-certified authorized repair facility for your Saab. Please note: We do not conduct emissions testing. *All services performed by Swedish Automotive, with the exception of intermittent problems, have an 24 month, 24,000 mile warranty. All ceramic brake pad and rotor work has a 36 month, 36,000 mile warranty. Electrical parts purchased over the counter are not returnable. Warranty work has to be performed in our shop and cannot exceed the original cost of repairs.